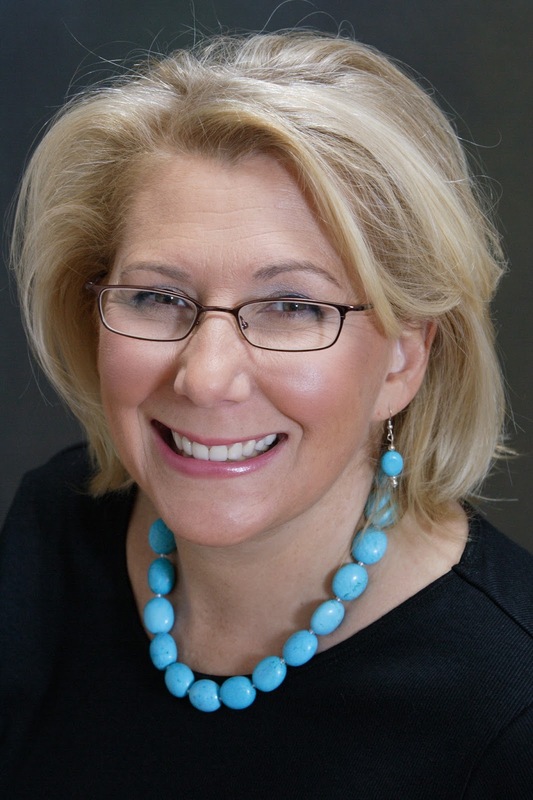 Cheryl Somers Aubin is the author of The Survivor Tree, a book inspired by the story of a pear tree that was badly damaged in the attacks of September 11, 2001, at the World Trade Center but eventually recovered. She is a writer of personal essays and a teacher of memoir-writing, and she lives in the Washington, D.C., area. Q: How did you learn about the story of the pear tree, and why did you decide to write your book from the tree's perspective? A: On December 23, 2010, I noticed a small article in USA TODAY titled, “Tree Replanted at Site of Terror Attacks,” about the 9/11 Survivor Tree being replanted on the 9/11 Memorial Plaza. I was touched by the story and felt deeply that the entire story of the tree needed to be told. The tree was discovered in the debris one month after the attacks, then recovered and healed in a nursery outside of the city with the help of a City Parks worker. Despite all she had endured, the 9/11 Survivor Tree was able to return home. I met with a child psychologist who helped me understand about the different stages of trauma. By telling the story of the feelings that The Survivor Tree experienced, I was able to mirror the feelings and emotions that individuals and our country went through following the events of 9/11. It’s really for anyone who has suffered any kind of trauma. Q: How did you find illustrator Sheila Harrington, and how did the two of you collaborate on the project? A: I knew Sheila from church. One day I clicked on Sheila’s link at the bottom of her e-mail and was really impressed with the beautiful illustrations she had on her website. I approached her about working on the book and she agreed to take on the project. It was one of the best decisions I could have ever made. I gave Sheila a rough draft of the book and then she showed me her thoughts about how to show the different time periods (past and past perfect). Sheila came up with the idea to show the times when the tree remembers back to times on the Plaza by using a postcard effect and by changing the text to italics. We worked many long hours, day after day, coordinating the words and the images for the book. Q: What perspective on the tragic events of September 11, 2001, do you hope readers will gain from your book? A: I hope that the story of the tree helps anyone who has suffered trauma or loss in his or her life. By telling the story of the tree’s journey, by mirroring the thoughts, feelings and emotions that we all experience, I wanted to create a comforting story. We cannot take away the pain, or the horror or the fear of that day – but I hope the story of the Survivor Tree is able to bring some comfort as we join her on her journey of healing. Q: What age group do you think is right for the book? A: This book is in the category of an “all ages” picture book. I’ve had both adults and children tell me how much they liked it. The different ages find and see different things in the story. I think this book would even be appropriate for the very youngest because, outside of the buildings collapsing on September 11, 2001, I purposely did not write about the terrorists or the planes or the incredible loss of life. Instead I focused on the healing story of the Survivor Tree. A: I’m working on two books right now. One is a children’s book about a little boy who has cerebral palsy. The other is a fictionalized account of my grandmother’s life in Galveston, Texas, during prohibition. A: I want your readers to know the importance of following their hearts. 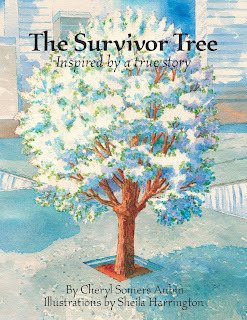 I truly felt called to write the story of the Survivor Tree and felt honored to tell the story. I met amazing people throughout my own journey of researching, writing and even doing book signings. I also decided to donate the profits to charity. It’s my hope that the gift of the Survivor Tree’s story can help those in need.